The Ministry of Health has refuted reports that the death of a woman at Momoa was a result of her taking the lymphatic filariasis triple drug regimen. Holding a press conference yesterday at the Ministry of Health headquarters, Chief Executive Officer, Leausa Dr. Take Naseri said they had to clear the air due to rumours of the woman’s death being associated with the recent mass drug administration (M.D.A.) program for lymphatic filariasis. He said there was set criteria before anyone took the medication and the treatment regimen could not be taken by: pregnant women, children under two years of age, the severely ill, the elderly, epileptic children, people with heart problems and those who are allergic to medication. “The recent events it’s sad to note that it’s been linked to the M.D.A. 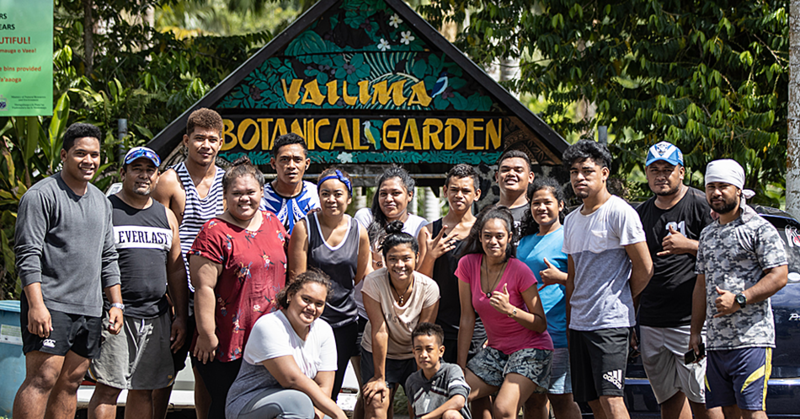 but the recent death suppose of a female at Moamoa I’ve seen the death certificate she passed away because of some overwhelming sepsis septicemia from most likely a bad chest infection,” he said. The family of Marama Sainimere Vesikula, who passed away suddenly over the weekend, released a statement yesterday saying there is no conclusive evidence to suggest that her death was caused by the medication she took for lymphatic filariasis. “It is also important for all concerned that our family had raised the same issue with the Ministry of Health, and we trust that the Management and medical staff of the National Hospital are following due processes for cases of such nature. While we appreciate the role of the media when it comes to matters of public importance, we also expect the media to make every effort to provide fair and factual reporting,” the family stated in a statement (see statement on page 13). The Ministry was also alerted to two other incidents connected to the M.D.A. which Leausa said he needed to clarify to ensure the public got the correct information. “There are other deaths as well as a man from the other side of the island, but he is a well-known case here because he is very obese and there is no record of him taking the medication but their family found him already dead on his bed so this happens at the time of the M.D.A. now these are some of the things. “Someone else also called and advised that there was a child that was given the medication twice and blackout so I spoke with the team leader they have no records of that so I’m just clearing the air and hoping that media will assist in making sure that these rumors are corrected,” he said. When the C.E.O. was asked if the deceased at Moamoa was sick prior to her receiving treatment, he said the woman was not sick and they did not have records showing she was not well. But that could change as the C.E.O. 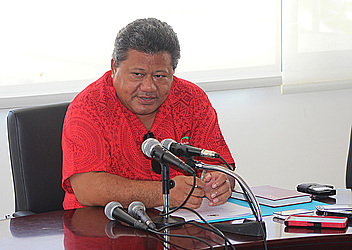 indicated that the Ministry will do a postmortem if the family of the deceased in Fiji requested one. 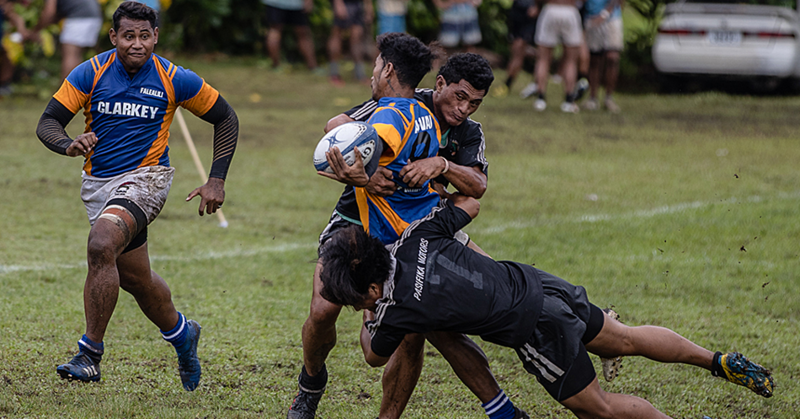 A seven’s tournament was held at Falealili College's field to kick-start the celebrations of Anzac Day yesterday. “We haven’t fully been around the island yet but so far the stops we have already been to are very enjoying including the hike to Mount. 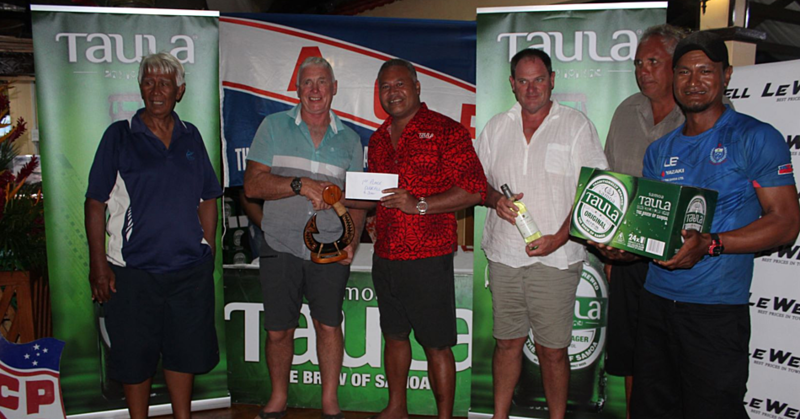 Vaea and the boys are enjoying their time in Samoa"
King Fisher took first place overall at the Savaii Game Fishing Tournament finale held on Wednesday at the Vaimoana Seaside Lodge in Asau, Savaii.